One of the most brutal games of the generation is coming to the Wii U. If you're a Wii U owner and Zombie U hasn't satisfied your needs for mature-rated content, you'll soon get the chance to head back to World War 2 on a skull-busting adventure. Sniper Elite V2 has just been confirmed for a Spring 2013 release on Nintendo's new system, and it's bringing all of its bloody brain bits along for the ride. 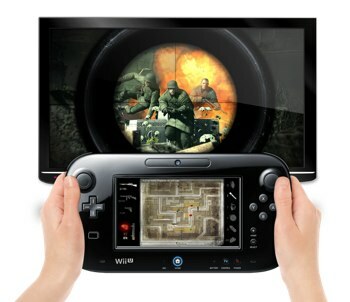 The Wii U's gamepad will be used for features like tagging maps with enemy and trap locations, and monitoring your health and breathing. Thankfully, it appears developer Rebellion has avoided using the gamepad for things like aiming, as we really don't feel like holding our arms up for hours on end. If you haven't played the latest Sniper Elite title, you should know that it's extremely gory. No, not just blood-squirts-when-you-shoot-someone gory, but also watch-the-bullet-tear-through-eyeballs-and-brain-tissue gory. So if you were planning on picking this one up, it's probably best you put the kids to bed before taking to the digital battlefield.